To avoid ongoing spam I recommend you create a temporary email account to use for your listing. The more information the better. Pipemakers are also welcome to advertise products for sale. Contact me directly for options. Disclaimer: I am in no way associated with, or responsible for, any financial transactions made through this website. Please use extreme caution when sharing personal information. Please Use Caution When Exchanging Information With Potential Buyers! Insist on the buyer providing their contact information before you share yours. Scam's happen. One that comes up periodically is they say they are 'working off-shore' on oil rigs and "could only pay via Paypal". It seems they then try to set up some elaborate scheme for a courier who will ask for an extortionate amount of money from you. This section is to highlight upcoming quality pipemakers. Alan, born in the wilds of West Penwith, Cornwall, is renown worldwide for his excellent reedmaking skills, having provided reeds for uilleann pipers around the world for many years. Brian Bigley comes from musical family on the west side of Cleveland. Studying with Achill Island, piper Michael Kilbane from the age of eight, Brian's sensitivity to the art of uilleann piping has developed into a high level of understanding. His interest in maintaining the best sound possible led Brian to study the art of pipe-making with Seth Gallagher in upstate New York and time spent with flute maker Patrick Olwell. He is currently making pipes in the style of the late Dave Williams and is an accomplished reed maker. Competitive accolades include taking first prize at the Midwest Regional Fleadh Cheoil 2007. 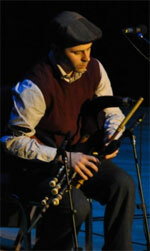 Ohio native Tim Benson became interested in the uilleann pipes as a teenager. Involvement with the Ulster Project at that time exposed him to recordings of traditional Irish music, and spawned the beginning of a life long relationship with the pipes. Some of his earliest influences came through recordings of the Chieftains and of Joe McKenna. After attaining a practice set of pipes made by Michael Brennan of East Lake, OH, Tim received introductory lessons from Michael Kilbane through the Academy of Irish Music in Cleveland, OH. He later received more advanced tuition from piper Kieran O'Hare, and attended influential workshops at Scoil Acla in 2002 with Ciaran O'Malley andRobbie Hannan. He began teaching uilleann pipes at the Riley School ofIrish Music in Cincinnati, OH while attending college at Xavier University. For several years Tim enjoyed performing at a wide array of venues around the mid-west, both independently and with Irishtraditional groups Silver Arm and with the Cleveland-based Portersharks. He recorded albums with both groups, and appeared on The Road to Riley, a recording of Riley School faculty. Driven by a desire to acquire a deeper understanding of the instrument, Tim devoted himself to making uilleann pipesafter settling in Western New York in December 2006. Consequently he has rediscovered the simplicity, beauty, and mystique of the instrument. 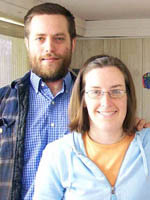 He is joinedin this venture by his partner Stephanie Cornelius, a fiddle player and mechanical engineer from Western New York, who provides design & fabrication support, and makes hand-stitched bags and bellows. Together they work to produce sets of all configurations in their shop located 30miles east of Buffalo. Tim primarily works with the traditional turnery woodsassociated with bagpipe making, such as ebony, the rosewoods, and boxwood. Brass andnickel silver are employed for the metal work. He has a great appreciation for pipes made by classic makers such as Leo Rowsome and the Taylor brothers, and has been influenced greatly through the invaluable guidance of a few modern masters. Every set of pipes I make is made entirely to individual order which guarantees that your pipes are made personally for you and so are unique and special to you and your requirements. My styles and methods have been developed and well-honed in over 30 years of pipe-making. I can therefore guarantee that every set of Pipes I make will be fully in tune and properly adjusted to all of the expected norms of playing. If you go to my 'Uilleann' page you will find many pictures showing details of my Irish Uilleann Pipes and in addition several articles on Uilleann Pipes, the history of the Uilleann Pipes and advice on buying Uilleann Pipes. Modeled after a Geoff Wooff C set, manufactured in solid walnut, and painted with a rich, warm-toned finish, these hand-carved uilleann pipe carvings are the perfect gift for the piper who has everything. Large carving = 23.5" x 9" x .75"
Small carving = 15.5" x 6" x .5"
Gaita C 5, Granadilla wood, Bass Drone, Chanter, Tenor Drone and Single Reed High Drone, Anillado Metallic Silver, Standard, Black velvet with black tassels, No personalisation, Estatura 180 cms. Please use caution when sharing personal information! Andy Faden D Practice Set - Second hand Andy Faden Uillean pipes practice set. This set was barely used in the last five years since I bought it. Practically new. I'm selling because I just had to admit to myself I do not have the time to study the pipes properly. Includes ebony and brass chanter in D with C key, leather/wood bellows and leather pipe bag. Shipping not included in the price. I can ship it to anywhere in the world. Payment preferable via PayPal or TransferWise. Currently located in Edmonton, Alberta, Canada (will be moving to Boston soon, so location will change in about two months). Andreas Rogge C Full Set - Ebony, brass & boxwood. Bought in 2014. Includes case. Tommy Martin has serviced them and therere is a video of Tommy Playing them if you'd like to see it. • Childress B chanter in cocobolo and imitation ivory. $800. plays ok but could use a new reed. Shipping included continental USA only. Can send sound clips if desired. Tommy Martin C Chanter - This is a C chanter made from Honduras Rosewood, brass and with mounts made from Cherry Laurel. It's a copy of a Matt Kiernan chanter ave I believe that he used a Michael Egan chanter for this particular design. It has a little more volume compared to the Coyne or Kenna designs due to the slightly wider bore. Priced to Sell: Eugene Lambe D Full Set - Full D set built by Eugene Lamb in the 1970s, and refurbished / re-reeded by Benedict Koehler in 2010. I've got his 3 pages of hand written notes detailing the process and his observations. Made with African Blackwood, brass and imitation ivory. These pipes are air tight and in great working order. Chanter has C key. The reeds are remarkably stable - winter, summer, inside, outside they are reliable. Bellows and bag are in excellent condition. The only issue with these pipes is the bass regulator - with a limited amount of effort we have not been able to get it stable. Thus I've been playing as a 3/4 set. Comes with TKL hard shell case. I've got $7500 into these pipes and am open to reasonable offers. Sound samples available on request. Bruce Childress B Full Set - African blackwood, imitation ivory and nickel plated. Drones have synthetic reeds. In concert set terminology it has "C natural" key, and F-nat key (ring style). I am original owner and set was recently re-worked by BC in 2017 with new chanter reed and a few other fixes. The set is in legit excellent condition and kept in a rugged flight case (will include with the sale). Reason for selling: Basically I just don't have time to play them anymore. I play a D set as well and barely have time for those. This is a great opportunity to get a flat set that looks and plays great and from an excellent pipemaker. Asking $5800 or best offer. Feel free to contact with any questions and/or sound samples. Brendan O'Hare ½ Set - Half set of Uilleann pipes in key of D made of ebony(African black wood), brass and alternative ivory. Chanter made by Brendan O Hare, and drones made in style of Leo Rowsome set, bellows made by Patrick O Hare. Left handed bag which can easily be replaced with a right hand bag. Hevia D Full Set - Up for sale, I am selling my full set of Hevia left-handed uilleann pipes. The pipes are made of African blackwood, stainless silver and vegetal ivory. They are in D concert pitch and are fitted with both the C and F keys, and also have a stop key. The stock is stainless silver and is engraved. Included in the sale is a black piper's bag and a modified popping strap. Andreas Rogge B Full Set - Made in 2010. It is made of Ebony, boxwood and brass and in perfect condition (playing well). The set comes with an uilleann pipes case. Sound sample and more pictures available if needed. Tim Britton D ½ Set ex. Chanter - Deluxe Half-Set Tim Britton Uillean Pipes in D. No chanter included but comes with brass chanter top. Blackwood and brass w/ best reeds, U bend and bell on bass and baritone drones. Brass chanter top and bellows. Issue: Bass reed was cut too long so bass drone needs to be pulled slightly out of stock for it to sound. Andy Faden D Full Set - Andy Faden concert pitch set in excellent condition and has recently been serviced by Andy himself. It is made from Macassar ebony, boxwood and brass. I believe Andy made the chanter in 2008 , the drones in 2009 and the regulators in 2010. I'm selling because I'm concentrating my piping on a recently acquired Andreas Rogge B set. Im asking for the monies I paid for the set when it was a 3/4 set (£5000) and having the bass regulator and other bits and pieces done (£2500). £7500 in all. Richard Patkos D+ Full Set - D full set made by Richard Patkos from plumwood, ebony mounts and brass with walnut for the main stock. The chanter has 4 keys (Fnat, Cnat, G#, A#) and the fourth regulator plays E. Bellows made by Kelleher; Berwall hard case (perfect for shipping) included. All works properly and in tune, if you're interested I can send video and audio clips. The set is located in Rome, Italy, but it is possible to ship it all over the world. Denis Crowley D Full Set - Full original concert pitch set by Crowley of Cork for sale. Two (2) original Crowley chanters included in the sale (only one showing in accompanying pictures, but details of second chanter can be provided). Set is newly reeded throughout. Made from African blackwood and stainless steel. Crowleys were known to work with chrome plated brass, so that is also a possibility, but there is no flaking at all to the chrome that you would usually expect in a set of such vintage, which is why I feel that stainless is the more likely option. All original and in perfect condition throughout. Original bellows and bag are both present, making it possibly the only all original Crowley set in existence. Original bag has been replaced with the new Kelleher one shown, but is included in the sale for collectability purposes. It could be added back to the set for playing purposes. All musical parts are stamped with the Crowley maker name & Cork. Entire set is in superb condition throughout. No wear or damage to any of the set. No issues at all. All keys newly padded and re-sprung where necessary. The set comes complete with a nice full size wooden box. Shipping to anywhere in the world is included in the asking price of $12,000 USD. May consider a partial exchange for something of interest. Please email any inquiries to include a contact phone number to email address below. The set is in the UK, but I will ship it to you at no extra cost. Kirk Lynch D Chanter - This is a beautiful mopane/brass chanter from Kirk Lynch himself. It has a beautiful tone: lush, earthy, soft. The upper octaves, particularly the E and G, absolutely sing. Condition: Like new. No scratches, dings or dents. Brass is polished. Issues: None! This chanter was taken care of. Reason for Sale: Upgrading to a whole new set! Dave Williams D ½ Set - Bought it in 1987. Any issues: not really played since 10 years. Reason for sale: no time to practice it.. and this kind of instrument must play it.. and I have other instruments..
Mickey Dunne D Chanter - Mickey Dunne concert pitch chanter (2009) for sale in ebony and brass. C and Fnat keys. Bought as a spare chanter but never used that much. Lovely tone and lightly reeded. Bought for €1200ish. Contact me with offers and for sound clips. Adrian Jeffries D Full Set - Selling D full set of uilleann pipes by Adrian Jefferies. African Blackwood no chips, cracks, or scratches. Had them made around 2005. Pipes are in excellent shape. Could use a good cleaning. No reeds! Reeds were lost during moving. Bag and bellows in excellent shape. Played lightly and only 1 owner. $2,900 I hate having them sitting around not being used so ANY reasonable offer will be considered. Léo Vauclin D Practice Set - French pipemaker practice set in concert pitch for sale. It is made out of ebony, with imitation ivory mounts and brass ferrules. Joe Kennedy D Full Set - This set is called the dogs breakfast set. All components made from different hard timbers Joe had sitting around the shop. An artistic yet economical idea. Woods to be listed later in the ad. Chanter made from ebony in 2010, it has Taylor style brass keys (fnat and cnat), popping valve on the low D and brass top made by Richard Patkos. It is an Egan/Kennedy design. Very smooth working chanter with great tuning and lots of character. Ideal for sessions of 4 people or less as it is narrow bore. Chanter gets drowned out if session is crowded and or people are loud so hanging on to your loud session chanters is suggested. Drones where made in 2007/2008. Tenor is made from ebony, baritone is applewood and bass is either applewood or orangewood. Double check with Joe. Bass drone is also the Taylor style in the middle section. They are very solid, stay in tune and play to a medium volume. Mainstock is hollowed out and made from cherrywood. Regs made in 2012. Tenor is maple, baritone is applewood and bass is rosewood. They tune very well and can be tunned at soft, medium or loud volumes. These pipes are in overall great condition!! A few dings here and there but nothing major. I have really enjoyed playing this set of pipes however, my pipe band drumming career has taking priority in my music life and I have not the time or energy to dedicate to full set uilleann piping. Set comes with lots of reeds, some other accessories and complimentary piping books. I am asking $8000 for the entire package plus shipping and insurance. I feel that this is a great asking price for a full set of pipes made by an accomplished maker. Hard case is also included. Please view my Jeremykeddymusic facebook page for videos of the pipes. Gordon Galloway D Chanter - (2 keys / F+ C nat) made of Ebony and brass (2005) in perfect condition. Very good chanter,Fully reeded,reliable and plays in tune.It has a very nice and clear sound. Sound sample available. Wanted: CJ Dixon Bellows - I am looking for a set of bellows made by CJ DIXON, in working order. Condition: In perfect working order. Alan Ginsberg Practice Set - Rosewood chanter with c nat key. Bellows and bag excellent condition. Plays very nice. Have original reed also. Video clips on request price around 600 euro. Case supplied with set. Louis O Coileain D Practice Set - Uilleann pipes practice set, new. Choice of three chanters, boxwood, ebony or mopane. Tuned and reeded by Cillian O'Briain. Wood top is €100 extra. Lorcan Dunne D ½ Set - Made of brass, black maire (a rare New Zealand hardwood), imitation ivory. Chanter has stop key, f natural, c natural and g sharp keys, made in 1999. Drones added 2002. Good working order with some cosmetic damage on imitation ivory. Consistently played over the last 15 years. Selling after buying Mullaly full set. Martin Preshaw D ½ Set - I brought a Martin Preshaw chanter back from Ireland for you in 2002. I've not played the pipes for a long time and I'm looking to sell this Preshaw 1/2 set, one of the first sets he made after I went to his shop in County Down and spent the day with he and his family. One of the keys on the chanter doesn't work and the whole set would need to be looked at by someone who knows a bit about piping. Just looking for a fair price and want to be upfront about everything. Adrian Jeffries D Full Set - Ebony, nickel silver with boxwood mounts. Hardcase for the pipes included. Pipes were made in 1999. The price I payed was USD 6400. Selling for $4500. Pipes are in wonderful condition. 1 Set of synthetic drone reeds, several cane drone reed, 2 Chanter reeds and 3 regulator reeds comes with it. The pipes are at my place in Sweden. John Addison D Full Set - Full set of pipes made by John Addison in early 1978. Mounted in real ivory. Matching chanter also included. Condition: The pipes haven't been played in many years so will need a bit of time spent to get them going again. The bag, reeds and a couple of valves will likely need replacing and the pipes rehemped – all as would be expected for a set of pipes that have sat unplayed for many years. All the wood is in great condition with no cracks and the ivory is absolutely beautiful. The pipes also come with hand drawn plans for them made by John Addison (an example is pictured) and also hand written letter from John to the original owner dated 1978. Any issues: Just need to get them going again, as mentioned above. Material: African Blackwood, real ivory and brass. Reason for sale: No idea how to play them and no time to learn. Seth Gallagher D Chanter - Seth Gallagher left handed 2015 chanter. This chanter is one of the last Seth ever made. It is a one of a kind collector's item and very much functional. It has full four keys (I've removed the f natural for now). Needs to be reeded. Sounds great and Seth can reed it up easily if you send it away. Like new some wear on the bronze. Perfect for left or right handed. Seth no longer makes pipes so this is a rare opportunity. 1900 usd because it is without a reed but was more than that brand new I can tell you that! I'm selling reluctantly because I could use the cash unfortunately. vPipes - Pipes in perfect condition for sale. Used when kids where a sleep to learn a few tunes. Seth Gallagher D Drones, Stock & Regs - I'm looking at selling my beloved 2005 Seth Gallagher uilleann drones, main-stock, and regulators. They are nickel-silver Blackwood / imitation ivory. I would be willing to sell them as a group, or just drones and main stock. Would be perfect for someone looking to upgrade from a practice set. Drones $2500 Drones and Regulators $5000. I am the second owner of these pipes, and I would like to sell them for what I bought them for. Alan Ginsberg D ½ Set - Alan Ginsberg D half set with David Daye D Penny Chanter w/ high C key. Pipes have been tested recently and sound great. Drones are (most likely, from research on Ginsberg pipes, although I am not a wood experty) blackwood with a rosewood or walnut stock. Not sure if there is imitation ivory, or real ivory. A more experienced piper guessed their age to be from the 70's or 80's and said it was possible the ivory was real. No damage, only things would be very minor blemishes from being an older set of pipes, however they have been lovingly cared for and kept in a case the entire time I have owned them (approx. 7 years). Chanter was made new for me 7 years ago, reed could do with a scraping, I'm told, but is in good shape. This is a great set of pipes, unfortunately I lack the time to pursue the Uilleann Pipes as much as I would like, and the amount of dedication required to learn the craft, such as reed making, are outside of my availability right now. Breaks my heart to sell them, but I'm a working bassist and that's where I'm putting most of my time. Marcus Coulter D Practice Set - 2013/14 Marcus Coulter practice set, Brass with African Boxwood and imitation ivory mounts. Marcus is a very well respected young pipe maker who has done work for the likes of Mike McGoldrick and John McSherry in the past. Gordon Galloway D Chanter etc. - I'm selling a Gordon Galloway chanter in concert pitch d. It's in perfect condition. It is made from ebony, brass with box wood mounts. It has a c natural key mounted. It is reeded with a nice bright clear tone. Also included is an additional d chanter (maker unknown) a set of bellows, a bag, carry case. Drones are now Sold. and a budget set of drones reeded made by David Daye. If interested in the GG chanter alone I would accept €900 (would cost €1250 new at the current exchange rate). vPipes - Vpipes for sale, I purchased them in 2012 and they are in fantastic condition and sound great. The reason for me selling is so I can upgrade my chanter for my acoustic set. With your purchase of the Vpipes I will add at no extra cost one set of Beats headphones. Andreas Rogge B Chanter - Ebony & nickel silver chanter pitched in B natural with boxwood mounts, four keys (equivalent of: F natural, G#, Bb, C natural) plus a stop key. This is a perfect playing chanter in excellent condition, rarely played; looking for a good home. vPipes - Electronic pipes. Perfect working order. Really good for practising and great fun to play. 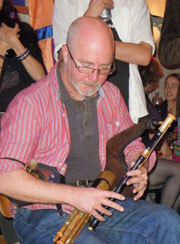 Hevia D Chanter - HEVIA left-handed uillieann pipe chanter. The chanter is made of African blackwood, stainless silver and vegetal ivory. It is in D concert pitch and is fitted with both C and F keys. It also has a stop key. The chanter will be carefully packaged and sent by courier. You can try it at home on the Lanmeur sector. Tommy Martin D Chanter - D chanter in ebony with boxwood mounts and brass fittings made by Tommy Martin. The chanter has 3 keys fitted, C, F and Bb although the video is older and only shows the chanter with 1 key. It also has a wood top. I made this chanter for myself and played it for about 8 or 9 months. The only reason I don't play it now is that I made another chanter for myself with different kind of mounts that match my regulators and drones a bit better. C.J. Dixon D Practice Set - This is a CJ Dixon practice set in D. Includes bellows, bag, and a cocobolo chanter. Pipes have been well maintained. Made in 2010. Will ship Worldwide. Mystery Half Set & Wooff Chanter - Half Set of Pipes for sale in the key of B. Includes a Geoff Woofe chanter. In immaculate condition and playing very well. Reason for sale, not being played as much anymore. If interested please email or phone. The drones have a good warm sound and the bass drone produces a nice, fat tone. Once they're tuned, they lock in nicely. The tenor reed is a bit suspect as it double tones sometimes but it is not inoperable. The tenor drone has a minor surface scratch at the base of the drone that was caused by the drone switch. This of course does not effect the instruments playability. I can send pictures and sound files on request when I return home in roughly a week and some change. I want to pass these pipes on for a couple of reasons. I'm going to be getting a full set of B pipes from Rogge sometime soon so these pipes are now obsolete. I feel like this would be a good set for someone who wants to get into piping without breaking the wallet or dealing with a wait list or for someone on the practice set who wants to upgrade. I would really like to see this set go to someone who's still starting out. Or an experienced player who needs a beater/back-up set or whatever. I don't really care as long as they are going to a good home where they will be played and well loved. I'm open to offers and the price is flexible but I would like to get at least $950 for them. The chanter doesn't have to have keys, in fact, I would almost prefer that it didn't. If it comes with a good reed and it's ready to wail then that's great. Michael Vignoles D Ful Set - These are a set made in the early 80's. They are playing very well as a half set and the chanter is nicely balanced. The set is fully airtight and the regs are reeded but need tuning. The pipes have some minor wear and tear on the imitation ivory and there is a small bump on the bass reg but it wont affect the sound. Peter Hunter B Chanter - Blackwood. I'm not first owner of this chanter. Chanter plays not bad really ( now there is some tape on holes for tuning), but i think it will be good to get a fresh reed for it! If you want sound or additional photos, i easily can send it! 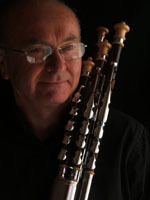 New chanter costs on Peter's website (http://www.hunterpipes.co.uk/Prices.html) is £850, i want £600 + shipping. Eugene Lambe D Full Set - Full Eugene Lambe set playing great (no leaks or anything), nice rare Lignum vitae wood with brass and imitation ivory. In great condition. Bass drone head has small chip from the imitation ivory gone, does not affect playing though. The set is one of Eugene's great work from around late 80's. It comes in a hard case with velour lining and two boxes of reeds, which were all tested and playing very well. It was sitting for years and hasn't been played and i think its a pity as they are a lovely set. They have just under gone some work to get them playing really well, work was carried out by Donnacha Dwyer last week. The brass needs a polish. Will accept reasonable offers. Joe Kennedy D Bass Regulator - This is a great opportunity for pipers that are looking to getting into regulator playing and with a product made by one of the best pipe makers on our planet. This bass reg was completed back in December 2012. It is made from brass and rosewood. First and only set of regulators that Joe has made in the Taylor style. It plays lovely and sounds very much like the old style bass regs. It has lots of volume too. The style of the reg is very plain as per my request so it ables the buyer to make ferrel or extra mount additions easy. Joe is aware of this sale and has agreed to make tenor and baritone regs if the buyer wants. If your not bothered by the difference in the keys and wood, this reg can possibly be added on to an existing set of regs or even be played on its own as a single. Please see the instalment materials in the pictures. If you are handy, the reg could be installed by yourself with help from Joe. I am only selling this for financial reasons and also because that I have come to terms that I am a happy 3/4 set player and decided to finally commit to this. I have had 3 other sets of pipes and always end up taking the bass regulator off. I'm okay with this and much happier. This reg is in great condition. It comes with 2 cane reeds and the main reed is spruce. Joe's asking price for a new reg is $2500 Canadian and a bit more for Taylor style. I am looking for offers. Buyer pays shipping but I will be willing to ship to Joe if you make plans for the reg to go to his shop. Davy Spillane D Chanter - Constructed from African Blackwood with imitation ivory decorations and silver plated metal work. The chanter top was made by Brian Bigley and is made from Stainless Steel and imitation ivory. The chanter has a c natural key and brand new reed. I will send sound files upon request. Matt Kiernan C ½ Set - This is an old set of pipes and has something of a 'rustic appearance', its not all shiny stainless steel and black wood but old patina brass and Green Hart wood (to the best of my knowledge). I'm guessing its from the 70's and has something of an old 'authentic sound' (if that makes sense). It started out as a full set but the regulator springs and pads need work so I have removed them to form this half set. I had hoped to do the repairs myself but never got around to doing it. So now it is stripped down to a half set with hardwood plugs in the the stock where the tenor and baritone regs would be and another plug in the bass bar that is still mounted and that still has a reed fitted inside it. Its playing really well as a half set and if the buyer is interested in taking the regs as well they should make me an offer for the regs as an add on. As I say above they would be a 'bit of a project' as they would benefit greatly from new springs and the odd pad needs replacing as well. The reeds in the regs are all working well and were made by Dicky Deegan a few years back. I think the bass resonator is made of ivory and maybe the other mountings on the tenor and baritone drones too. My reason for selling? I currently own two full sets (D and B) and I'm moving to Ireland and need the money. Marc van Daal D Full Set - African Blackwood in D. C & F key on chanter. Fully reeded. Plays great sounds lovely in the right hands. Heavy duty bellows. New bag & cover. Sturdy wood case. Selling because I use the 1/2 set more often. Shame to have it sit here. Various Quality Makers D ½ Set - D half set with 1 regulator. Perfect for a beginner looking to move on to play with drones and will have the Baritone regulator waiting. This is also handy as most tutorials say to start with just the Baritone regulator. The chanter is by Jim Whenham. I'm loathed to sell this chanter as its fantastic!!! Easy read that plays perfectly in tune over both octaves and all the keys! Its fully keyed. Jim did the F and C natural and Cillian O'Briain pin mounted the Bb and G# keys. Its Ebony, brass and boxwood fittings. It has nice scalloping which is great when you start as your fingers just fly straight to the holes. The bellows is also Whenhams. Its spring mounted inside so when you close the bellows it pops open again which is a hand feature. The stock, rubber bag and fittings were just made a few days ago by Martin McIntyre and the stock is a beautiful bit of wood with crome fittings. He also readed the drones with cane reeds. The Baritone regulator was made by Bruce Childress and Nick Whitmer made the screw cap at the bottom which allows you to unscrew the bottom fitting to tune the D note. The reed sits in a brass tube so you can push it in and out easily without re-hemping it all the time. Its a nice quirky looking regulator and has a nice soft tone and is well in tune. The drones are cheap. They have cane reeds in which helps, not sure of the wood, plastic and crome fittings. They play just fine, tune well and are steady as a rock, so even thought there no great shakes they do there job. Also I have a Martin Preshaw bag with fittings. It has a stock cup which needs to be blocked. If someone wants to do that then they will have a handy spare bag. Its all leather and the fittings look nice. Matt Kiernan D ½ Set - A half set of pipes made by legendary pipemaker Matt Kiernan in Dublin in 1973. The instrument looks like new and comprises bag, bellows, chanter and drones and is in fine playing condition. The bag is new as are all the reeds. The instrument sounds tip top and is a joy to play. This is a chance to lay your hands on a really beautiful piece of work. I will consider all reasonable offers. Shipping and insurance costs should be borne by the buyer. vPipes - Set of vpipes for sale. Set was carefully used just few weeks so they are in perfect condition. Reason of selling: I need money for my workshop, so unfortunately i should sell them. Good thing for practising at late night or when you travel somewhere. Cost of new set is €1490, my price is €1150 + shipping + no waiting list =) I will send them with company like DHL or another where i can get tracking number for you. If you decide to buy them in next 3 days since this ad was published I'll give an extra discount of €50, so price will be only €1100+shipping. Don't miss a good deal. Tony Hebdon D Chanter - I'm selling a concert pitch chanter made by Tony Hebdon in 1999. The chanter is ebony with brass top and imitation ivory mounts, and two keys (F nat and C). The fingerholes are scalloped in the Taylor style for more secure finger placement. Recently re-reeded by Bruce Childress and going well (the reed is almost new; I've played it just enough to break it in). It's in great condition with the exception of a tiny chip out of the imitation ivory mount below the chanter cap. I've played this stick on many gigs over the past 15 years, but these days I prefer the darker sound of my Kirk Lynch chanter. Asking $1000 USD. I'm in Boston, but will ship anywhere (buyer pays shipping costs). I don't have video but I'm happy to send MP3 sound samples via email if you'd like to hear the chanter. Description: Concert D Half set, made my Michael Vignole. With hard case and spare chanter reed. Any issues: Drones require tuning and setting. Materials the item is made from: Black wood, green velvet bag with gold trim. Reason for sale: Father's pipes who has died. Denis Quigley D Full Set - Denis Quigley full set of pipes in the key of D. This attractive set was made over 10 years ago. It is in perfect playing condition (as you can see and hear on the video below!) and very steady. The materials are African Blackwood with brass and boxwood mounts. The Chanter is not original to the set. The make of the chanter is unknown as I bought this set second hand in the year 2002 and it is not stamped. The same chanter reed has been playing great in it since 02. It includes a C natural key. The material of the mounts on the chanter is imitation ivory – but it does not clash with the boxwood on the rest of the set. The bag was made by Benedict Koehler. The reason for sale is that I no longer have enough time to play the set as often as I should and it is a shame to have it lying about. The set comes free with standard black consort case (as seen in the last pic.) which is also in great condition. More photos available upon request...Delighted to answer any questions! Andreas Rogge D ½ Set - For sale...my D set made for me this year by Andreas Rogge. Plumwood/Brass/Imitation Ivory. Chanter has Cnat, Fnat and stop keys. This is Andreas's" new" style chanter modeled after a Rowsome. Lovely tone & spot on intonation. If you are familiar with Rogge's work, you'll know what I mean. These are as beautiful to look at as to play. In perfect condition, the drones are unique with the addition of an A mounted to the main stock and controlled by its own switch. You will need a bellows as Im keeping the Rogge for my flat set, although I do have a Mike Dow bellows in near new condition that we can talk about. This is an opportunity to obtain a top class set in near new condition without the wait. Please feel free to contact me with any questions and I will respond promptly. Tim Britton D Full Set - Britton Deluxe set. It is the set pictured on this web page: http://www.skep.com/britton/pipes.htm. The set is in very good condition. All leather parts are original and so are soiled but there are no leaks. The pipe in the bellows which receives the union pipe from the bag is missing. I have been inserting the pipe into the bellows hole for a decade with no problems. Set is blackwood. Keys are brass. A drone plus the three D's. Three regs. Chanter fully keyed. Reed in the bass reg was never very good at all but I have not played the set for some time which is why I am selling. Sale includes the wood case, all my reed making tools and all my Spanish cane. The pipes are made from Black Maire, brass and imitiation ivory with green velvet and gold trim. Black maire is an new Zealand hard wood aquired by Lorcan while he worked over there and brought back to Ireland where the pipes where made. Everything in good order and as seen in photos. All reeds are original and play well. Pipes have lovely warm tone to them. No leaks, everything nice and tight. Chanter has F and C key fitted. Lorcan made these pipes for me in 2000 when i had some spare cash and time! Enjoyed playing them but time spent on them has got less and less so would be good if they can go to a better home, and cash is not so spare just now! Happy to answer any questions about them and will try and get some sound clips of them in action. Come with fibreglass case as pictured. I am based in Kerry so also happy to have them collected. Charles Roberts D ½ Set - Half set made by Charles Roberts in Sligo. The set is in good condition, plays great and was made for me in 1998. Was well before Charles moved to Spain and unfortunately seems to have stopped making pipes. It features a very stable chanter reed that has been playing great in various climates since 2002. The set has spent lots of time on stage and was my main set for quite a few years. After many years of being an Uilleann Piper I have turned myself into more of a box player and need to sell a set of pipes or two. The set is Africanblackwood with boxwood accents and brass ferrules. Mark Donohoe D ½ Set - Condition: Made from ebony, nickel silver and artificial ivory. This is a beautiful instrument in immaculate condition with a very bright and responsive chapter. All reeds are playing very well. Comes with a case also. Made in 2010. C.J. Dixon Practice Set - Condition: These are in used condition; hopefully, the pictures tell the story. Issues: Reeds... I have one reed that works well at the current temperature/humidity in my house. It took some serious adjusting to get it to work well, but I can play the entire normal range of the pipes with this reed. As you know (or have probably read), it may not work in a new setting... Two additional reeds are included. They do not work well for me. Materials: Blackwood chanter; unusual brass hinge on the bellows. Reason for sale: I always wanted to try the Uilleann pipes. While I made it about half way through "The New Approach to Uilleann Piping" by H.J. Clarke, I have found that I just don't have the time to devote to this set. Rather than hold on to them for years, I have decided to pass them on to a new owner. I am located in Northeast Arkansas and nearby buyers are welcome to come try the pipes out. Seth Gallagher C ½ Set - C ½ set made by Seth Gallagher. They are made of Ebony, brass and faux ivory. Two chanter reeds and drone reeds were provided by Seth. Also included is a hard plastic case. Pipes are in perfect working conditon except for a small chip in the tenor drone and one of the brass sleeves on the main stock is cracked. These are cosmetic and don't effect sound quality. An injury to my left hand prevents me from playing the pipes. Selling price is $4,200 with case and ready to ship once payment is received. David Boisvert D Practice Set - D practise set made by David Boisvert. They appear to be made of Rosewood, brass and boxwood. Set comes with two chanter reeds, L&M bag and a hard case. Pipes are in perfect working and playing conditon. An injury to my left hand prevents me from playing the pipes. Selling price is $1,200 with case and ready to ship once payment is received. B.C. Childress D ½ Set - BC Childress half set for sale made 2008 Blackwood with brass and imitation ivory, chanter has four keys. These pipes are like new. I don't have time to play and learn as I play the Highland pipes and it a shame to have them sitting on the shelf. These list for $3534.00 new I am asking $2800.00 US Dollars. Buyer to pay shipping ans insurance. B.C. Childress Student Practice Sets - Bruce has a limited number of student practice sets available. Visit his website to get all the details. David Daye D ½ Set - I am selling my David Daye half set to help play for my son's college expenses. Standard concert D Daye chanter. I have three reeds for it, two of which have not been played or even adjusted. It has a C natural key. The condition is very good. The only sign of wear is some tarnish on the brass parts of the chanter. The bag is vinyl and does not leak. Leather bellows. I added a small locking connector between the bellows and bag so that the pipe cannot come out accidentally while playing. The set comes with a case. It is actually a saxophone case but everything fits. Pipes are in Ohio, USA. Rogge & Hughes D ½ Set - Cocobola keyed chanter made by Andreas Rogge, Bag, bellows (Larger than standard) and ebony drones by Robbie Hughes. This is a great set of pipes to play, whether it be for recording, live, or for the session. The chanter is bright, in perfect pitch, sweet sounding and strong in volume. The drones are exceptionally warm, with a large resonator on the bass. I recently bought a full set by Andreas Rogge and no longer need two sets, hence the reason for selling. B.C. Childress D Practice Set - Blackwood chanter made 1997 good condition asking $1,250 buyer responsible for shipping and insurance contact Francis O'Gara. Dinny Quigley D Chanter - Dinny Quigley fully-keyed D chanter: African blackwood, brass keys & top, boxwood(?) mounts. Dinny Quigley made this chanter for me in 2003. The reed was made by Michael Donovan in Los Angeles in 2007. This chanter served me very well until 2008, when I got my Rogge D chanter. I have been playing two full sets by Andreas Rogge (C and D) for a few years, so, except for a period where a pupil of mine used it, I have hardly touched it until now that I decided to finally sell it (I need the money). It is in very good condition. I played it for a few days and made a video sample last week(see below) , and as you can see and hear, it sounds great. It is very responsive and easy to play, and all four keys work well. It had slight tuning issues in the past, but if you know how to make a good rush you should be able to get it in tune, as demonstrated in the sample (I will send it with the rush inside). There is a tiny external scratch at the bottom mount that existed already when I received the chanter from Dinny. I am asking 1250USD / 960Euro (OBO) + shipping & insurance (& customs if applicable). Additional photos and/or audio-video samples will be provided if needed. Leo Rowsome D Full Set - I am thinking ( I said thinking) of selling my Leo Rowsome D set that I acquired in 1971. I have two other sets, in C and B, and just do not play the Rowsome D set. Why have a Rowsome copy when you can have the real thing. This set is 75 years old and in very good shape. I am asking $20,000 for the set. Expensive but you get what you pay for. In the summer of 1971 I was playing at the annual Philadelphia Folk Festival. I had just finished my evening concert and was making my usual rounds at the motel where all of the musicians were staying. There was every conceivable kind of party going on in the various rooms; music for every taste. I, of course, found my way to the "traditional music" party that was taking place in the room of the great singer and member of the Clancy Brothers, Lou Killen. The party was going well, and I had just finished my umpteenth Powers' whiskey, when into the room came Joe Heaney. Joe is one of the finest Irish traditional singers in the world. Anyway, Joe said in a loud voice, "The world's greatest Uilleann piper is going to play a few tunes for you." That was how I met Liam Óg O'Flynn, the beginning of a wonderful friendship, and my introduction to REAL Irish music. When Liam started to play I was stunned. I became choked with emotion and my eyes filled with tears. I had never in my musical career heard such a beautiful sound. I sat there for at least an hour--a most willing captive. The next day I told Liam that I had a series of concerts lined up across the country and that I would like for him to come with me and open each show. He agreed, and we were off on what turned out to be the most rewarding series of concerts in my career. Every place we played people went wild over Liam's playing. It was some time during this period that I decided that I had to learn to play the pipes. Two months later I found a set of pipes in a bar in New York City. They were in good condition except for the reeds, which had long since died . They were made by the late, great pipemaker and piper, Leo Rowsome of Dublin. Realizing that if I was ever going to play the pipes I would have to go to Ireland for reeds, I set about making plans to return with Liam to his homeland. Once in Dublin, I was introduced to Dan Dowd who repaired my pipes and fitted reeds to my chanter and two of the drones. Upon returning to America I discovered that the reeds had collapsed on the journey, and I was once again without reeds. However, Dan had told me that Tom Busby of New York was considered to be a very fine reedmaker. I went to see Tom, and he fitted my pipes with a good chanter reed. It was then that I realized that if I was ever to become a piper I would have to learn to make my own reeds. I asked Tom if he would show me how to make reeds, and he did. I proceeded to gather as much information as I could on reeds and how to make them. I got in touch with and went to see all the reedmakers I could. Six months later, after making well over two hundred reeds, I succeeded in fitting a good reed to my chanter and developed a method of reed making of my own. That year I wrote a little pamphlet entitled The Insane Art of Reed Making which I had printed at my own expense and either sold or gave away. What a Pandora's box I had opened! I began receiving inquiries from all over the world requesting reeds, pipes, information and just plain correspondence. I decided that a book was needed, a work that would contain as much of the essential information about the subject of piping and pipe maintenance as I could offer. I would like to extend my thanks to the following friends in helping me in this endeavor. First to Liam Óg O'Flynn who first got me started; to Seamus Ennis, my good friend and truly the greatest piper in the world; to Dan Dowd, Matt Kiernan, Tom Busby and Patrick Hennelly for teaching me what they knew about reeds; to Dr. Kenneth Goldstein for his encouragement and his library; to my American colleagues in piping, Tom Standeven, Dennis Brooks, Joe Shannon, Barry O'Neill, Bill Ochs and Dan Sullivan; to the great pipemakers Coyne, Talbot, Egan, Kenna, Kennedy and Rowsome, and those others unnamed who never signed their work; and finally to everyone in the world who loves Irish music. Brian Bigley - New! Brian Bigley Practice Set. MacHarg Bag, Walnut and Leather bellows, Cocobolo and Brass Chanter with 'C' natural key. Chanter Design based on Dave Williams chanter. Robbie Hughes D Full Set - Full set of uilleann pipes looking for a new owner. To good home only. Gets on well with concertinas and fiddles. Will make a great set if treated well. Concert Pitch D full set - narrow bore. I have owned and played this set since it was made- there are no previous owners. I had it serviced regularly by accomplished pipesmakers (Andreas Rogge, Tom Aebi, Mickey Dunne, Cilian OBrien and also Robbie Hughes himself) so it is in great condition. I had the stock shortened as it was originally made for giants. A new stock switch was put in which runs very smoothly. A decentric stock cap is allowing for a better position of the stock so the bag does not put pressure on the bass regulator and is hence avoiding the common issue of air leaking out between bass reg and stock. This set is narrower than a standard concert pitch D bore. Robbie designed this to achieve a mellow sound, resembling the narrow bore flat sets. Many listeners have commented me on the beautyful sound of this instrument, and it is truly special. However, if you want a loud instrument that makes you stand out in a noisy session, this is maybe not for you. A lot depends on the reeds of course, and you can get a fairly loud sound with a strong reed. Condition: The overall condition is very good. It is comparatively easy to blow and everything works and functions well. I like the old look so I never polished the brass parts. There are a few scratches which is normal for set that old, but nothing major. The only defect is the plastic mounting of the bass and bariton drones where the drones meet the stock. These had to be filed on one side to allow for the new stop key to be mounted. Back then I put functionality over beauty. It's in a spot that cant be seen but it would be easy enough to make two new slimmer mountings if someone wants it. The bass reg was made only recently, but Robbie has done a great job and you dont notice any difference between the old and new regs. The bass reg keys are slightly smoother. The plastic mounts on the drones are made from a different material than the chanter and reg mounts. They have turned a bit more yellow over the years while the others remained more white. Reason for sale: I got a new instrument because I felt it was time for a change after nearly 20 years! I will be sad to part with this but I dont have the time to play two sets and an instrument should be played, not sit in a box. Audio Sample: If you search for Antonia Dusa Wernig on youtube you will see a few videos where I play this set over the years. Email me for more photos etc. Taylor Bros. D Full Set & C# Chanter - (Possibly by Brennan) - Full concert D set of Talyor Uilleann Pipes. In very good condition. Chanter is a C sharp (Taylor chanter also). Made from ebony and silver. I am selling these pipes as I have not played them in a few years as I have another set. B.C. Childress D Full Set - African blackwood, brass, imitation ivory, standard aesthetic appointments. 5 chanter keys: Stop key, F-natural, C-natural, A-sharp, G-sharp. Three good chanter reeds including the pipemaker's own. This one began as a practice set in 2000 and was gradually upgraded. I no longer have time to play due to school and teaching commitments, though I wish I could continue to play these! The set is in near-perfect condition aside from normal brass tarnishing and a bit of finish wear on the stock. It will be backed by the pipemaker ~ he has been very accessible and helpful to me. The tuning/tweaking is currently very good ~ Childress makes further adjustments if desired at no charge (except shipping). I can ship to you directly or first to Childress, who can then forward the set to you. One audio sample is my own; the other sample is Childress. Kirk Lynch D ½ Set - Set is about 12 years old. In playing order, chanter and drone reeds are by Kirk. The set plays nicely. Bag and bellows are air tight. The chanter and drones are ebony, mounted in boxwood. The mainstock is cherry. The set is in very nice shape with minor expected wear. I am selling because I have tried for years to play them and other instruments and must admit that I have no musical ability. I feel guilty holding on to such a nice set of pipes. They should go to someone that can play and enjoy them. Kevin Thompson Full D Set - Beautiful full concert pitch set of pipes made by Kevin Thompson. Ebony and brass with imitation ivory mounts. This set has been recently fully refurbished by Donacha Keegan. Works carried out include new L and M bag, new reeds to regulators and chanter.Tuning slides to all double reeds, new leather pads to regulator keys. Chanter has C natural and F natural keys. Bellows by Cillian O'Briain. Set playing perfectly in tune and well balanced. I have recently taken delivery of a new full set from Cillian O'Briain, which is why I am selling these. A. Ginsberg D Drones & bellows - Drones are made of African Blackwood, brass, and imitation ivory and are equipped with Cane reeds but a pair of Ezee Drone Reeds will be included in the sale. The bellows are air tight, and have some staple and screw holes in the wood from a previous cushion but are in good working order. The bag is made by Jackie Boyce and was recently added. Overall the drones sound great and the set is airtight. The case is from Andreas Rogge, and is very light but extremely durable. It will also fit a half set of pipes very comfortably. Hubert Kwisthout D ½ Set - I have a half set of Hubert Kwisthout pipes that I can't devote enough time to, and am therefor looking to sell them. The bag that came with it is a 3/4 size bag, so I got a full size bag, but never ended up cutting the stock holes... Also I have an extra bellows. I bought the pipes last year for about $2300, the extra bag cost about $110. The extra bellows I picked up for about $250. I'm asking $2100 for the pipes (half set with the bag it came with), $100 for the extra bag, and $200 for the extra bellows. Buyer pays shipping. The set does need a new reed - the one with it is cracked. Martin Preshaw C ¾ Set - Made from blackwood, alternative ivory and brass fitted. Key blocks are in place for adding keys later. I'm selling because I just don't have time to play this set. A sound file is available from seller. Des Seery D Full Set - Made from Ebony and stainless steel with imitation ivory mounts. Fully keyed chanter. One regulator key needs repaired, otherwise playing well. Wooden case included. Need to fund set of border pipes. B.C. Childress D Full Set - African blackwood, silver plated brass and boxwood. It's the set advertised on Bruce's homepage, probably one of his most beautiful works. Chanter includes C key and stop key + blocks for future keys. Nick Adams & Des Seery D Full Set - Full set of left handed concert pitch pipes made by Nick Adams in African Blackwood. Chanter By Des Seery. Drones Newly Refurbished and serviced. Regulators not reeded. Steven Vickers D Drones - Made from African ebony ,imitation ivory and brass.The stock and bag were made by Alan Ginsberg,the drones I made. In good playing order. These would be ideal for anyone with a practise set looking to upgrade. The asking price is €1400. Robbie Hughes Full C Set - A full C set made by Robbie Hughes and recently renovated by him , sound sample to follow. Selling because need the money! Martin Preshaw D ½ Set in ebony, boxwood and silver-plated brass. Chanter is Martin's own design, with C, F, and G keys, and has a Rowsome-esque tone. Half set comes with the bass bar installed and the chanter has an extra top with a stop key made by Brad Angus. Case included. Evertjan t'Hart D Chanter in acid stained box, imitation ivory and brass with 3 keys (C, F, and G) and a stop key. Made in the style of the late Dave Williams of course. Lovely chanter, nice reedy and meaty tone off it. Handmade Wooden Case Dovetailed pine instrument case with 6mm oak-faced ply sides. Internal dimensions are 78 x 25 x 12.5 cm. Weight 4kg. Supplied without internal moulding but would easily hold a fiddle and accessories as illustrated or set of pipes. Leather carrying handle and two secure suitcase clasps. Joe Irwin D Chanter This is a chanter which I bought off Joe Irwin a few years ago. Also a new reed will be needed. I am looking to sell this chanter on to help fund a full set of pipes. Maguire, Finnegan, O'Briain Set Peter Maguire chanter, Fergus Finnegan bag and Cillian O'Brian bellows. They are a lovely sounding set as can be heard. They are a brilliant set for a someone to start off with. I purchased this set a few years ago but am now interested in selling on to help fund a full set of pipes. John Lambe D ½ Set Halfset in concert pitch made by John Lambe (Eugene's nephew). Materials used are Ebony and brass with antler mounts. At the moment the reeds arent playing at all, i havent played these pipes in a long time as i have another set. When the reeds are right this is a beautiful sounding set but they will need work. Other than that condition is fine. I'm selling because i have another set and these are just taking up space. I'm looking for €1100 but all offers will be considered. Bob May ½ Set African blackwood, antler mounts, brass caps, hide bag, several reeds. Better reeds needed, or these worked to sound better.NPU tutor 1 on VHS $1250 or o.b.o. Chanter Sold: BC Childress B chanter, African blackwood, imitation ivory mounts, brass cap, several reeds. $750 or o.b.o. Taylor 514ce Guitar Taylor 514-CE Acoustic Electric Guitar. Western red cedar top, tropical mahogony back and sides. Koa binding and sound hole ring. Grand auditorium single cutaway body. This is an as new guitar, made in 2001. It hasn't a scratch or a blemish. It has never been gigged and has lived its life in its hardshell Taylor case (included). Gold plated Grover tuners. The Fishman pickup system sounds incredible. It's the best guitar I've ever owned but finances demand that I sell it. From the Taylor website "A Western Red cedar top brings extra warmth and responsiveness to our popular mahogany Grand Auditorium cutaway, a perennial favorite among fingerstylists and singer-songwriters alike." Link to the current model on the Taylor guitars website. Bouge/Guillemot Practice Set - Chanter Dominique BOUGE (Very good Tuning) - Bag made by Patrick Guillemot (Brittany) - Bellow and case. Arie De Keizer D Full Set - Chanter NOT included! The set is made of palosanto, boxwood mounts and brass . Consists of three drones with the original reeds made by Arie De Keyzer, three Regulators (Bass,Baitone & tenor) with the original reeds made by Arie De Keyzer (needs a little bit of work because I never use the Regs! !sorry) The keys work perfectly and all the pads are new. The bellows and the bag(new) are made by the spanish pipemakers Arhpa. The bag have a green bag cover. Comes with a hard case. The chanter is not included. I'm selling only for economic reasons but I'm very happy with this set of pipes. Perry-Wilkinson (1806) Violin - The fiddle is a Perry-Wilkinson, Dublin, dated 1806. It's in great condition and has recently been appraised for $9,000-$10,000. It has a lovely neck, which is original, and rosewood pegs. It's the fiddle I recorded my album "An Bhábóg sa Bhádóg" with, and has only gotten better with age. It's been described to me as a great baroque-style fiddle. Thomas Perry was a famous craftsman of violins and other musical instruments in Dublin from 1767-1827. Originally from Kilkenny, Perry was the greatest of all Irish violin makers and crafted many of Europe's finest violins during the 18th century. It is noted that the violin craftsman Richard Tobin of London studied under Thomas Perry in Dublin as a pupil. Perry Violins are of such high regard that they are often compared with other famous violins such as the Stradivarius. In 1820, Perry went in partnership with William Wilkinson in Dublin for roughly 10 to 15 years and the firm is noted as Perry & Wilkinson thereafter.